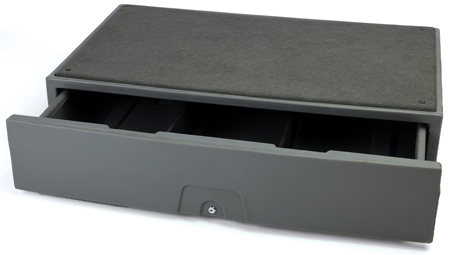 SUV Cargo Caddy | Elkhart Plastics, Inc.
Keep your hunting equipment safe with the SUV Cargo Caddy™ vehicle storage system. 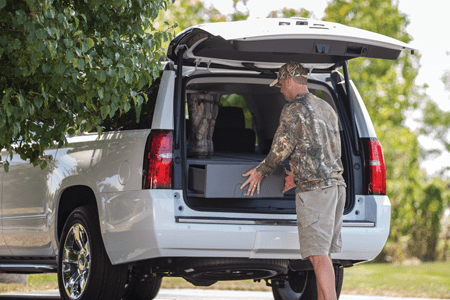 It turns disorganized, jumbled rear cargo areas into tidy, secure storage space. The engineers at Elkhart Plastics, Inc. created this product to serve the needs of police, outdoorsmen, and sporting enthusiasts. For more information, visit our SUV Cargo Caddy website.